For months, the Philadelphia School Partnership (PSP) has been working to put in place a new citywide process for placing students in schools. Most troubling is that PSP wants this process to be run by an outside, private entity that is created by PSP and could eventually charge a per-pupil fee from participating systems. “Universal enrollment,” as it is called, would match students to either a District, charter, or parochial school whenever they decide to transfer, move, or transition to another school level. The PSP proposal would not only take the current student-placement program out of the District’s hands — unprecedented in any other city — it would also include parochial schools and coordinate the selection process with the availability of scholarships, which are now often provided through two controversial, voucher-like business tax subsidy programs in Pennsylvania. PSP’s audacious plans were unveiled at a briefing before City Council last month. I spoke with several attendees at the briefing, including a member of Parents United for Public Education, and received a copy of PSP’s PowerPoint presentation. PSP, which describes itself as a philanthropic organization interested in the movement of students into “high performing” seats, had aimed to launch a pilot universal enrollment effort this year with parochial schools and some charters. Since the briefing, PSP has now decided to delay the program until next year, when it proposes to assume enrollment responsibilities for all District schools, including special admission schools as well as charter and parochial schools. The program raises serious questions about students’ privacy rights, church-and-state separation, and public disclosure issues. It also potentially weakens the guarantee of a neighborhood school option and removes from District control a central mission and function – all without any meaningful public disclosure, discussion, or oversight. District officials are distancing themselves from PSP’s independent effort. Spokesperson Fernando Gallard told me the District is using its own enrollment process this year. PSP introduced its independent universal enrollment program in a briefing before City Council on Sept. 18. According to attendees, the presentation sparked controversy, leading to a pointed back-and-forth between a number of Council staff and PSP leadership. The briefing was led by PSP’s executive director Mark Gleason, a one-time publishing entrepreneur and former New Jersey-area school board member. Gleason identified PSP’s chief consultant in the project as Ramsey Green, a real estate investor and consultant from New Orleans, where a similar program has been criticized by a number of public education advocates. Sources told me Gleason promoted the new process as a way to “outsource the enrollment and placement” of all students in the city’s District, charter, and, in a surprising twist, Catholic schools. In most cities with a universal enrollment plan, the effort has focused on the public sector, presumably to avoid First Amendment conflicts. At the Council briefing, Gleason announced that the District in August had pulled out of the universal enrollment process for this year, saying officials have “a lot on their plate right now.” As a result, he said, PSP would take on the effort unilaterally by setting up a separate nonprofit called PhillySchoolApp. PhillySchoolApp will be overseen by a private entity, the Compact Working Group, whose members represent the Great Schools Compact, a body that includes District and charter school leaders, and which PSP also staffs. Gleason said PSP was already interviewing applicants for the executive director position of PhillySchoolApp. Private philanthropy would cover the effort for the first three years, after which PhillySchoolApp would charge a per-pupil fee for participating schools. When asked about the potential cost by a Council aide, Gleason said it could be in the range of $10 per student, according to several people who were at the briefing. 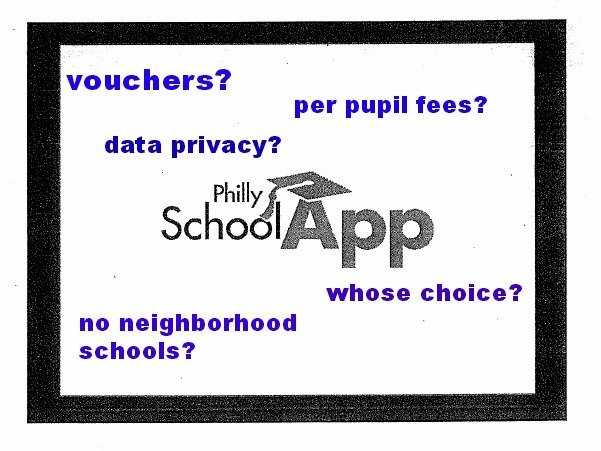 According to the PowerPoint presentation made at the briefing, PhillySchoolApp would run a “centralized lottery and school matching service” that would assign each student only one option for a school. Under the current system, students at the high school level are assured a neighborhood school option, can be admitted to as many as five District schools, and can apply to as many charter and private schools as they want. Under PSP’s proposed system, students would be matched to a single school. Students would have a right to refuse that school, but would lose their opportunity in the selective first round, then bump down to a second- and third-match round, where fewer schools are offered. The PowerPoint said PSP had intended to secure the participation of “50-plus charter and Catholic schools” this year. 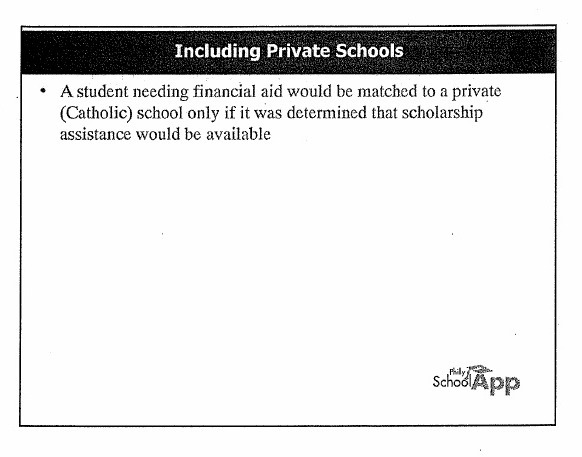 Students assigned to Catholic schools would be matched “only if it was determined that scholarship assistance would be available.” The tax-credit programs, Educational Improvement Tax Credit (EITC) and Opportunity Scholarship Tax Credit (OSTC) — often deemed similar to vouchers — are increasingly the most common means of scholarship assistance. Attendees at the briefing said at least one staff aide asked a question about potential church-and-state conflicts. Kristen Forbriger, communications manager for PSP, told me last week that, although the effort has been delayed till next year, the Compact Committee has “developed a common application,” which has been made available to District, charter, and Catholic schools. District officials said they are using their own application that is completely separate from an application through the Compact. “The goal is to introduce the full system [“PhillySchoolApp”] in the future, hopefully by next year,” Forbriger wrote in an email. Susan Gobreski, executive director of Education Voters PA, said her organization had supported a common enrollment process, which could deal with inequities. For example, some charters have been flagged for complicated application processes that create “barriers to entry” for some students. But Gobreski expressed surprise at PSP’s newly forged, independent role. Universal enrollment is another untested reform initiative coming from the Gates Foundation, which has a history of funding experimental, and often controversial, ideas in K-12 education (requiring student test scores as a major part of teacher evaluations, for example) and higher education. The most established universal enrollment programs are in New Orleans and Denver. Newark and Washington, D.C. recently announced they intend to introduce universal enrollment in 2014-2015. Karran Harper Royal, a New Orleans parent advocate, shared her concerns with me this week about how the universal enrollment program has rolled out in her hometown. Harper Royal said that, in New Orleans, parents are handed a long list of school names with letter grades, which give little information about the quality of school services. Parents have raised concerns that universal enrollment actually limits choice options by directing families into a single computer-generated selection. Parents no longer have the guaranteed option of their nearby neighborhood school, even if it is a few blocks away and desired. One mother, who lived on the West Bank of New Orleans, only listed schools on the West Bank, which were all full “according to the computer,” Harper Royal said. That parent was assigned to an “F”-rated school on the far east side of New Orleans slated for closure the following year. In New Orleans, where more than 70 percent of students are in charters, the “OneApp” (as it is dubbed) is a daunting 20-page package requiring two to four written pages per child. Notably, PSP’s PowerPoint presentation before City Council included a sample application form from the New Orleans OneApp. One report said that more than one in five families simply don’t participate in the process. “This is another way of telling people to get out of the public schools, and then blaming people if they don’t,” she said. Anglin said she was most alarmed at the role of a private entity formed by PSP controlling the enrollment process. PhillySchoolApp will have unrestricted access to private student data in order to mine student information to facilitate their placement. A “central database can integrate with every school’s student data system,” one slide of the PSP PowerPoint shows. Student data systems contain highly sensitive information, including names, addresses, social security numbers, grades, test scores, race, students’ economic status, special-education status, disciplinary status, and much more. It can also contain information that is appropriate for a school but may not be appropriate for third-party vendors, such as reasons for leaving a school or parental status (custody rights, foster care, etc.). Granting access to such information to a third party outside the School District could violate the confidentiality of such information. 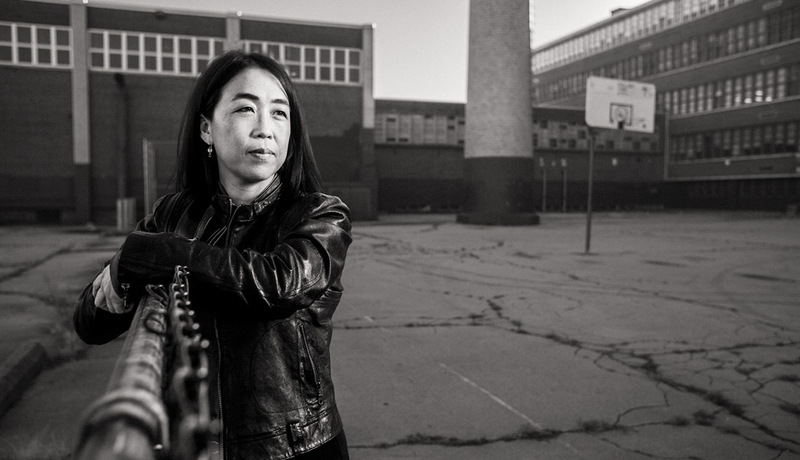 New York City parents, for example, have launched a major battle around privacy rights against a private contractor, which collects student data and has the right to sell that information, recently highlighted in a New York Times article. Privacy and First Amendment concerns aside, providing meaningful choices to Philadelphia’s families will take more than a clever computer algorithm. Choice advocates make a mistake in presuming that parents have real options when there is a dysfunctional school system reformers largely refuse to improve. View the PSP PowerPoint presentation before City Council below. We would all be much better off if these so-called education “reform” advocates focused their efforts on improving public schools and reducing child poverty, rather than simply trying to find new ways to generate private profits on the backs of students and their parents. I agree with you, Winning Progressive.